Noted Good Guy Mark Zuckerberg. In what might be the shortest time yet for an Onion headline to nearly mirror reality, Facebook has backed off plans to share sensitive info about your inner life with doctors and hospitals. And all it took was the company being embroiled in a cataclysmic data-sharing scandal. As first reported by CNBC on Thursday, Facebook’s secretive research arm, Building 8, was looking to start a project that would have had them share users’ anonymized data with several major US hospitals. This combined data would then seemingly allow doctors to get more relevant insight into their patients’ lives and act appropriately. One example of how this could have worked, described by CNBC, would have had hospitals send home nurses to patients recovering from major heart surgery deemed to have no nearby friends or family based on their Facebook profile. 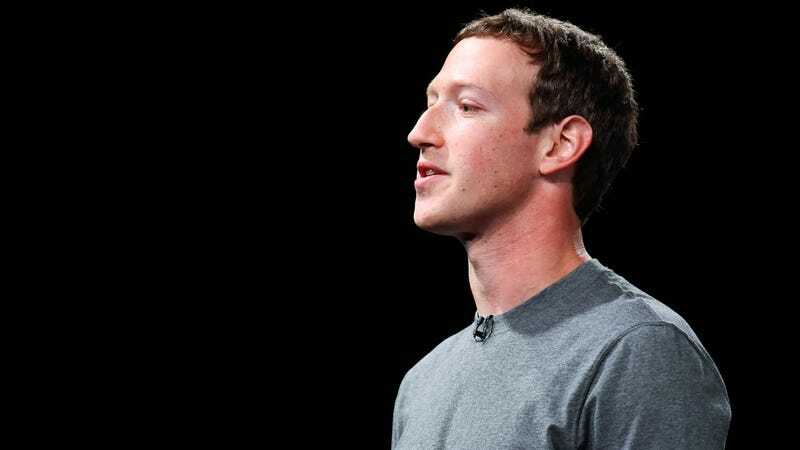 Facebook had reportedly gotten as far as enlisting its scientists to talk to major organizations like the American College of Cardiology and the Stanford University School of Medicine about the project. But the dream—for the moment—is no more. “This work has not progressed past the planning phase, and we have not received, shared, or analyzed anyone’s data,” Facebook said in a statement to CNBC. According to CNBC, both Facebook data and the hospital data would have been stripped of any identifying markers like a person’s name before it reached anyone. A common cryptographic method known as hashing would have been used to match the sets of data to one another. Seemingly learning nothing from its own history, though, the project leaders reportedly didn’t even discuss whether Facebook users should have been told in advance about their little experiment. Contrast that with Apple’s smoother (if still scary) forays into the health world, which include an app that asks users if they’d like to voluntarily link their medical records up to their iPhones, for instance. Alas, since everyone is still mad about the 2015 Cambridge Analytica data breach (which saw up to 87 million Facebook users’ data mined by the company), Facebook apparently thought it best to just take things down a notch for now. “Last month we decided that we should pause these discussions so we can focus on other important work, including doing a better job of protecting people’s data and being clearer with them about how that data is used in our products and services,” their statement said. Bravery, thy name is Zuck. Meanwhile, in other news, Facebook just admitted that many of its 2.2 billion users could have had their data pilfered by “malicious actors” up until yesterday when the company introduced new data-sharing restrictions.